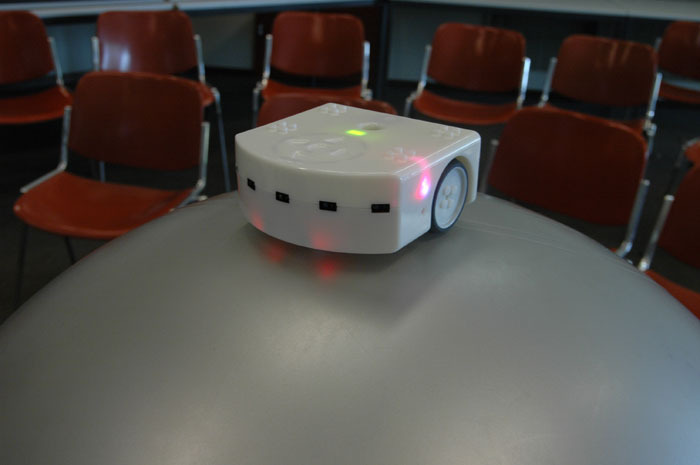 Perhaps you were inspired by Sharon Marzouk and her experiences using the Thymio II in the classroom to motivate independent learning and discovery, or perhaps you saw the Thymio II on our Holiday Gift Ideas and just couldn’t resist. Either way, you’ve got your hands on a Thymio II and are wondering how to get started! If that’s the case, or if you’re simply interested in learning more about the Thymio, head over to Thymio & Aseba. There you can find an excellent guide on using the visual programming language (VPL) bundled with Aseba, to program the Thymio II. This guide includes an introduction to the Thymio II and the VPL, and contains a number of small projects of increasing complexity, designed to gradually introduce new features, sensors, actuators and ideas to the reader. On the Thymio & Aseba site, you will also find numerous project examples (for example ball balancing, as pictured above), many of which include Aseba source code examples and an implementation discussion. You can also find various constructions, which take advantage of the Thymio’s LEGO Technic interoperability to build many weird and wonderful creations including cranes, funicular railways, walking robots and more. 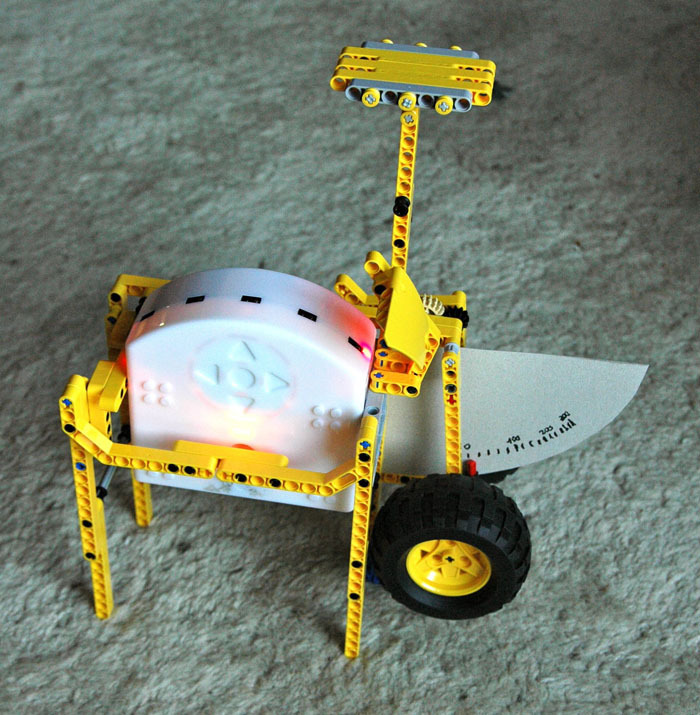 The reflectivity measure, which uses the Thymio’s IR sensor to measure optical reflectivity of various objects at known distances, automated using the Thymio’s wheels to drive an arm mechanism. These three examples demonstrate that robots, although cool in their own right, are also an excellent tool for learning more about the world around us.